In this Dec. 5, 2018, photo released by the Bureau of Immigration Public Information Office, American Roman Catholic priest Rev. Kenneth Bernard Hendricks looks at documents after being arrested in a church in Naval town in the island province of Biliran, central Philippines. Philippine immigration authorities say they have arrested Hendricks accused of sexually assaulting altar boys in a remote central town in a case one official described as "shocking and appalling." 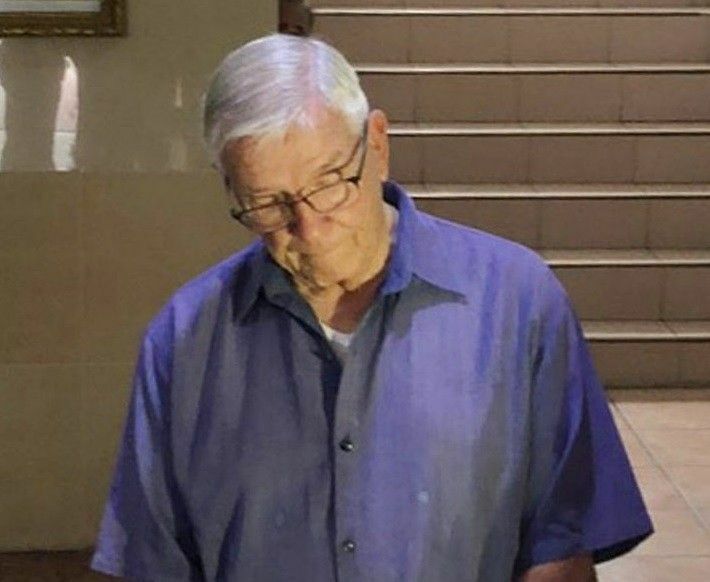 MANILA, Philippines — An American Catholic priest wanted for allegedly sexually abusing Filipino altar boys as young as seven has been arrested in the Philippines and now faces deportation, officials said Thursday.